The University of Bath's 6th annual HPC Symposium will take place on Monday 12 June 2017, in the Chancellors' Building. The one-day event will give you the opportunity to get an overview of the broad research being done by the growing HPC community at Bath. You will also have the opportunity discuss your own work with others in an informal setting. The day is loosely planned to include keynote lectures alongside talks and poster presentations by Balena users. Prizes will be awarded for the best talks and posters. Refreshments and a buffet lunch will be provided during the day, and there will be an early-evening networking event with pizza and refreshments. Simon is a Professor of High Performance Computing and the Head of the Microelectronics Research Group. He is a contributor to both the OpenCL and OpenMP parallel programming standards, regular member of the programme committee for IEEE/ACM SuperComputing and ISC and member of the EPSRC Archer national supercomputer design team. He has been involved with the GridPP project since conception in 2000 and was one of the lead authors of the proposals for all three phases. Initially appointed as Project Manager, he took over as the GridPP Project leader in 2008. 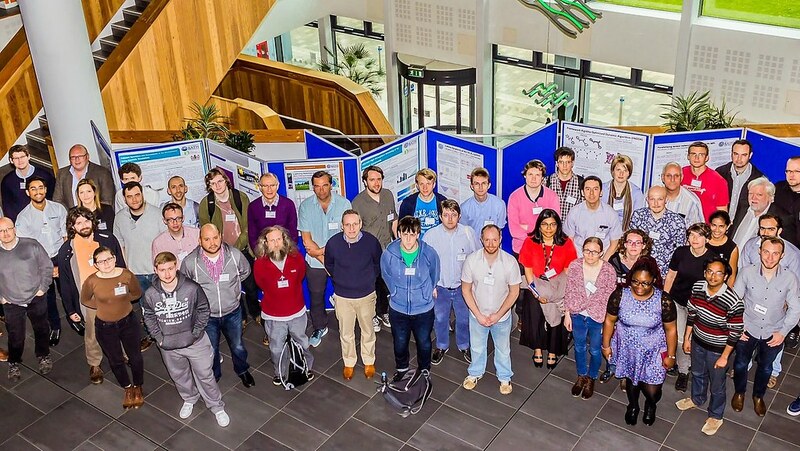 GridPP is a collaboration of Particle Physicists and Computing Scientists from 19 UK Universities together with the Rutherford-Appleton Laboratory and CERN. There is no registration fee. If you are interested in attending, please register by Wednesday 31st May and let us know if you have any special dietary requirements. You can submit an abstract for a talk or poster presentations on all aspects of HPC-orientated research. This year, there will be a dedicated session for postgraduate students with posters to give a five-minute flash presentation to introduce themselves and their work. All other contributed talks will be 15 minutes (12 mins + 3 mins questions). Posters will be displayed in the Chancellor’s Building. The boards will accommodate up to A0 posters, and there are no specific requirements on size/orientation. Find out more about getting involved and submitting abstracts. The deadline for abstract submissions is Monday 22nd May 2017. The schedule will be finalised and presenting authors notified the following week. At the end of the Symposium the Prize Committee will be awarding two prizes for the best contributions to the Symposium. Prizes will be an iPad Mini and an NVIDIA SHIELD TV console. A prize will also be awarded to the best student poster presentation.